For any speaker, cross-cultural teaching is challenging. So when Pat Zukeran and I were asked to participate in two pastors’ training conferences in Uganda, Africa, my prayer life took on a new urgency. Although the official language of Uganda is English, most of its citizens use one of twenty-nine other languages. Uganda is mostly an agricultural society and is somewhat isolated from the Western media. 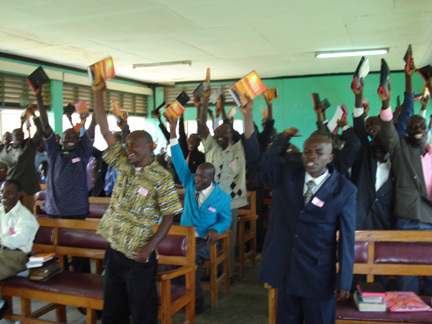 A majority of the pastors had received only a limited education, and would be fortunate to own a Bible much less have books for a theological library. Pat and I realized we would have to adjust the way we normally present our lessons to incorporate word pictures and stories to help the Ugandan translators effectively communicate our messages with this specialized audience. 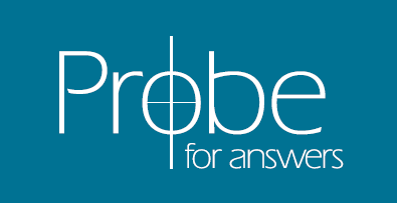 However, a more central question was whether or not these pastors felt a need for the kind of apologetics information that Probe usually provides. Did they care about arguments for the authority of Scripture or the deity of Christ? Was maintaining a Christian worldview something they would understand or even be interested in? Would defenses against religious pluralism, Mormonism, and Islam be wanted or deemed unnecessary? I fervently prayed for wisdom and discernment as we made our preparations. Thankfully when it came time to go, I experienced a peace as I stepped out in faith. The Lord was sending us and I was eager to see how He would accomplish His plan for the Ugandan pastors! Our time in Uganda was split into two one-week conferences. The first conference was near the town of Jinja, not far from the country’s eastern border with Kenya. This town is on the shores of Lake Victoria, near the headwaters of the Nile River. Our actual conference location was a 30 minute van ride to what we later discovered was the first church in Uganda, built in the 1880s by the Anglicans. Most of the attendees were lay pastors in area churches along with a few priests. We later discovered that the Anglican priests were responsible for as many as twenty churches and spent most of their time marrying, baptizing, and burying members. Much of the work of evangelizing and mentoring new believers fell upon the lay workers. As a result, this group of 125 workers was essential to energizing and equipping the Anglican movement in the region. Pat opened the conference with a great session on the biblical mandate to be ready to give a reason for the hope that we have in Christ. Some of the pastors admitted that they had never really thought about having to defend what they believe. They would share with their neighbors that they believed about Jesus, but they didn’t even think about defending the faith if questions or objections arose. We later discovered that Jinja was the center of Mormon activities in Uganda. The pastors were shocked to hear what Mormons believe concerning the nature of God and specifically the person of Christ. They also responded positively to arguments against religious pluralism acknowledging that they were hearing them for the first time. For the next leg of the trip, we headed out to Fort Portal to partner with ALARM Ministries on the western border of Uganda next to the Congo. We had received an e-mail from both the Ugandan government and our state department warning us about the ongoing conflict in the Congo. Fortunately, the fighting had not spilled over into Uganda. Other than refugees entering into the country we did not notice any problems. It turns out that the group of pastors in Fort Portal was especially passionate about the apologetics material Pat and I covered during the six hours each day. They were experiencing a direct challenge from Islam and had little information with which to respond. Many of them felt the burden to defend their faith from the rising influx of money and mosques from Libya. Libya’s ruler Muammar Kaddafi has taken an interest in Uganda. 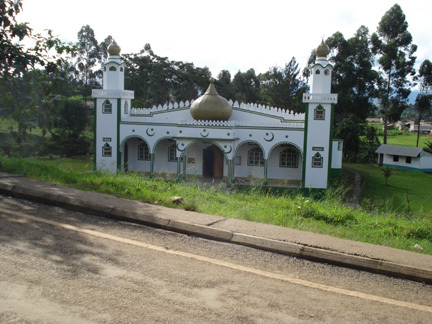 In Fort Portal he has built a large, gold-domed mosque and a mansion for the local fifteen-year-old tribal king. Local Muslims have been targeting pastors and their sons by offering money and even cars to those who would convert to Islam. Sadly, some have done so. With that, they began celebrating by raising their new Bibles above their heads, dancing and singing a song titled, “Heaven and earth will pass away but God’s Word will endure forever.” It was a very moving for us to see the joy in their hearts because of our teaching. Our other material also connected as well. I spoke about temptations all Christians experience when life becomes difficult. We in the U.S. tend to trust in our wealth, technology, and entertainment when we should be turning to God for strength and endurance. In Africa, the tendency is to revert to the traditional African religions that include local witch doctors and ancestor worship. We had a number of good discussions about trusting only in God and the truth revealed in Scripture rather than in other belief systems and unbiblical practices. Our time in Uganda reconfirmed the need for apologetics regardless of location and culture. Although the challenges may be different, Christians everywhere need to have confidence in the gospel message if they are going to take it into the world. It is our prayer that we left our brothers and sisters in Uganda with tools that will equip them to be more effective ambassadors for Christ.